Thanks to a creative collaboration between Village Arts of Putney and The Putney Inn, an expanded exhibit of original fine art now graces the walls of the Inn's entry Parlor, Lounge, Garden dining room, South dining room, and Rockwell I & II rooms. The work is well lit by newly installed track lighting and is mounted using a professional gallery system. The general public, as well as guests of the Inn, are welcome to peruse the changing collection between 7:30 a.m. and 8:30 p.m. daily, with respect for diners and occasional off-limits space used for a meeting or special event. Art has always graced the walls of The Putney Inn, but the new marriage between the Inn and Village Arts of Putney brings a gallery ambience to this fine dining restaurant and allows the public greater access for viewing and purchase of exceptional artwork. A Grand Opening reception is scheduled for Saturday, September 9, from 4 to 6 p.m., with an RSVP requested before September 5 to (802) 387-8548 or by email to villarts@sover.net. This occasion offers art lovers a chance to meet some of the artists represented in the current show: Richard Schmid, Nancy Guzik, Dennis Sheehan, Kathy Anderson, Raphy Kay, Lauren Woodward Simons, Hagop "Jack" Kaledjian, Rosemary Ladd, John Smith, Katie Swatland, Carol Arnold, and Bob Watkins, among others. Established in 2001, Village Arts of Putney is a fine arts education center and home of The Putney Painters, an invitational painting group founded by master painters Richard Schmid and Nancy Guzik. Village Arts offers art classes, workshops, open studios and gallery space (this latter now at The Putney Inn). The initial gallery was in a 200-year-old barn in Putney, surrounded by 27 acres of land that Capt. John Adams and Penelope Simpson now own, making it an idyllic and inspirational setting for the classes and workshops taking place year-round. Students may be novices, or they may be award-winning painters. Richard Schmid, painter and teacher, has exhibited around the world and received every major art award in the United States. Schmid was classically trained under William H. Mosby at the American Academy of Art in Chicago. 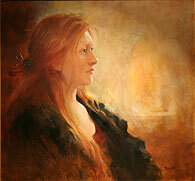 As recently as 2005, Schmid was presented with the Gold Medal award from the Portrait Society of America. Schmid is also the recipient of an honorary degree from the Lyme Academy College of Fine Arts in Old Lyme, CT and was presented with the John Singer Sargent Medal for Lifetime Achievement, which he received from Sargent's grandnephew in an award ceremony at the Metropolitan Museum of Art. His book Alla Prima: Everything I Know About Painting is in its sixth edition and focuses on sharing his lifelong passion for painting and teaching the art of painting. Nancy Guzik, Richard's wife, has also won numerous awards, including the Grand Prize from International Artist Magazine and three gold medals from the Palette & Chisel Academy in Chicago. 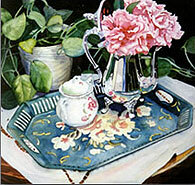 Schmid's and Guzik's work has been featured in numerous art magazines. They became close friends with Penelope Simpson and John Adams upon their move to Brattleboro, Vermont, and their creative, friendly collaboration led to the creation of Village Arts of Putney. Located just off Exit 4 of Interstate 91, The Putney Inn considers Food an Artform, too. This union with Village Arts of Putney is beautifully timed with the addition of Executive Chef Michael Gunyan, who has refined the Inn's menu. James Beard-trained, award-winning Chef Gunyan will represent the United States in vying for the Académie Culinaire de France's Trophy de Passion in Paris, France this November. As the sole U.S. representative in this international event, Gunyan will be in competition with seventy-five chefs from around the world. Chef Gunyan's standard for fresh regional foods presented artistically is a natural match for The Putney Inn, where the Ziters have focused on fresh produce and food from sustainable farmers for almost three decades. Great food and great art -- a tasty combination! For more information, please call Village Arts of Putney at (802) 387-8548 or visit online at www.villageartsofputney.com. The Putney Inn may be reached at (802) 387-5517 and is found online at www.putneyinn.com.